Many systems are either dynamically or stationary inhomogeneous and the inhomogeneities, especially dynamic inhomogeneities, are the key to understand their interactions and functions. Ensemble measurements naturally can only yield the mean value of the ensemble. Single-molecule trajectories on the other hand are direct records of the fluctuation that contain detailed dynamical and statistical information. Since trajectories may vary for different members of the ensemble the average trajectory contains less information, the ensemble might not even show fluctuations at all as they could be averaged out during the timespan of the experiment. 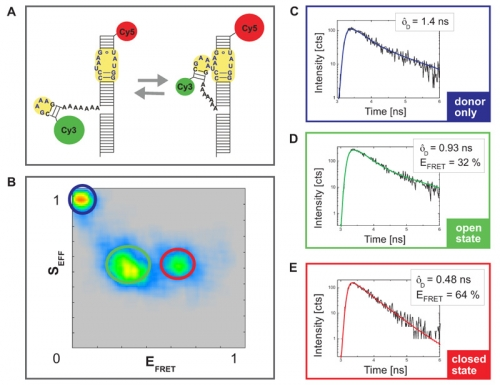 Single molecule detection techniques are also essential in overcoming the diffraction limit in microscopy and have been honored with the 2014 Nobel prize in chemistry. 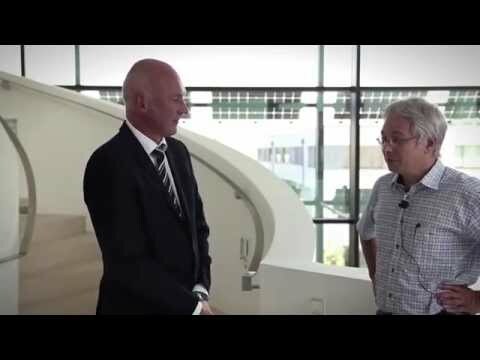 PicoQuant has a long history of supporting the single molecule community both with state of the art instrumentation as well as through hosting single molecule events around the world for many years. 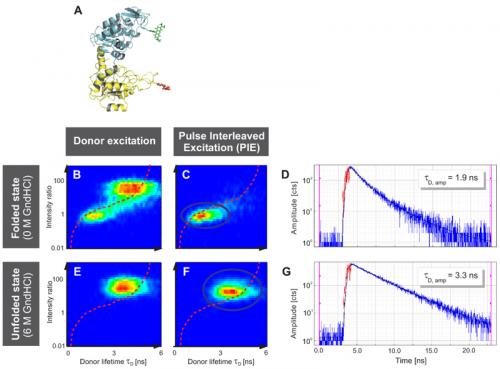 Single molecule detection requires a highly sensitive confocal microscope. For a simple set-up, a single laser and a single photon counting detector is needed. 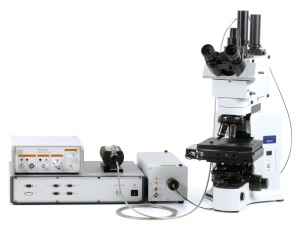 For more sophisticated experiments, several detectors as well as a highly stable piezo scanning system are used. 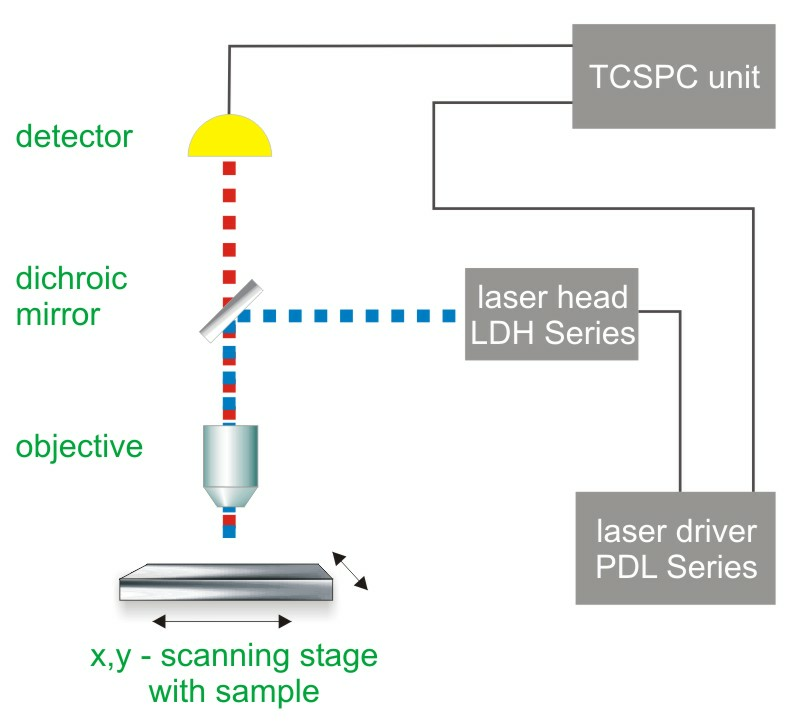 As single molecule trajectories are usually studied as a function of time, the data acquisition is very often performed using Time-Correlated Single Photon Counting (TCSPC). 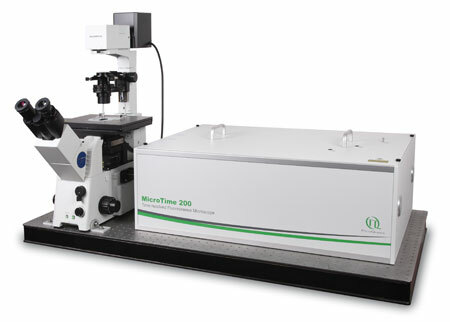 The upright time-resolved microscope MicroTime 100 contains the complete optics and electronics for recording F(C)CS or FLCS data as well as fluorescence lifetime images and decays in small volumes by means of Time-Correlated Single Photon Counting (TCSPC) with single molecule sensitivity. 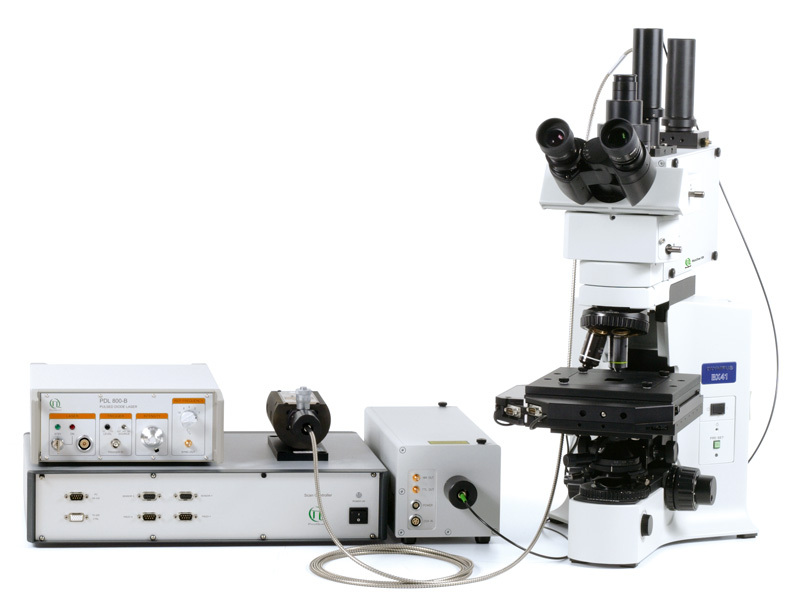 The system is based on a conventional upright microscope body that permist easy access to a wide range of sample shapes and sizes. 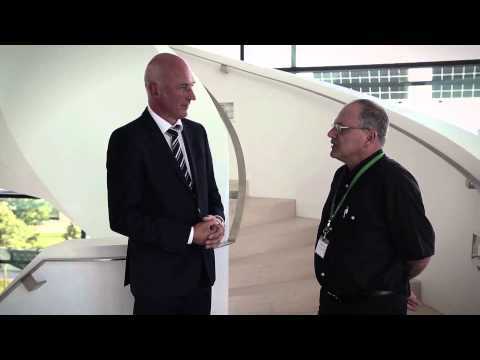 The following videos where recorded during the 20th International Workshop on “Single Molecule Spectroscopy and Ultrasensitive Analysis in the Life Sciences”, held in Berlin in September 2014. 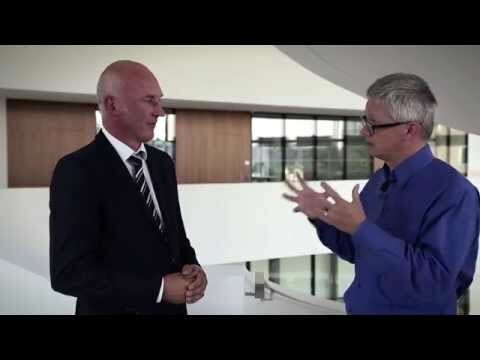 In the videos, three renowned researches in the field of single molecule detection, including Nobel Price winner W.E. 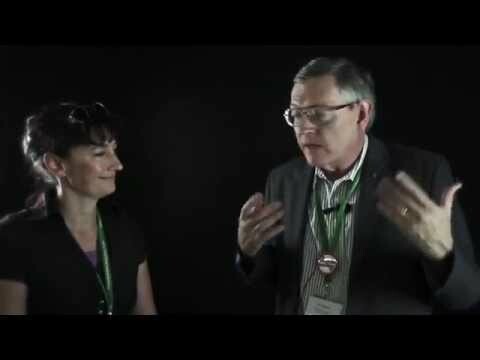 Moerner, talk about their personal views on the past, present, and future of this field. This example shows a FLIM image of immobilized single Cy5 molecules on a glass coverslip. 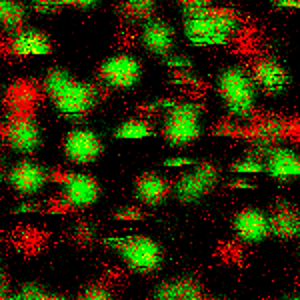 The overall TCSPC histogram using all recorded photons can be fitted with a double exponential decay indicating a spatial distribution of two different fluorescence “states”. In the FLIM image the two types of emitters can then be separated and visualized based on their lifetimes. The two different states are most likely due to different molecular orientations, conformations or interactions of the Cy5 molcules with the glass surface. 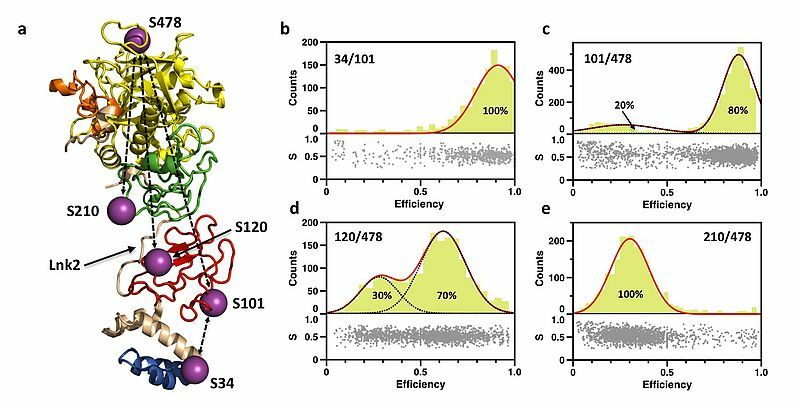 Single molecules show intensity fluctuations due to transitions into different kinds of dark or dim states (triplet, non-absorbing/fluorescent conformations, nearby quenchers like oxygen, etc.). The example shows a fluorescence intensity time trace of an immobilized single Cy5 molecules on a glass coverslip. Transitions between three different states (bright, dim, dark) can clearly be identified. A further analysis of the the fluorescence lifetime trace using a double exponential decay model with fixed lifetimes (0.7 ns and 1.6 ns) shows that all bright states are dominated by the long lifetime component (green), wheras the dim states show mainly the shorter lifetime component (red). 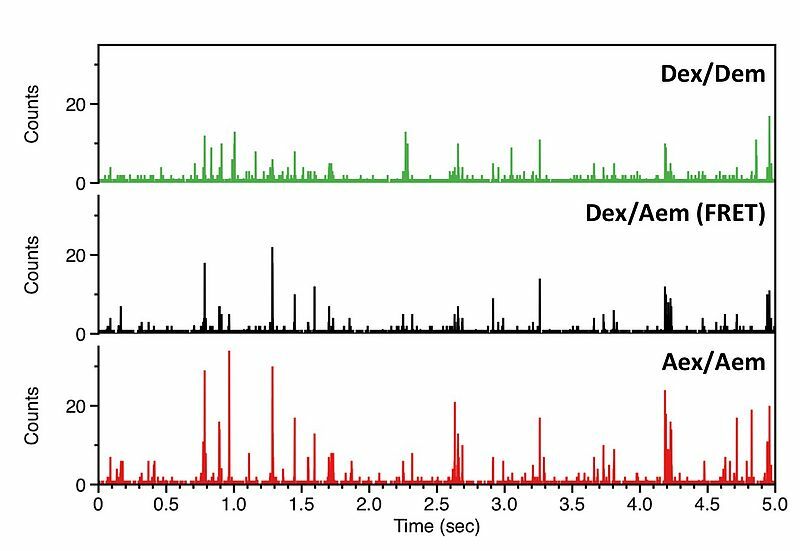 This is a clear indication for a competing non-radiative decay channel in the dim states which leads to a reduced fluorescence intensity and lifetime.